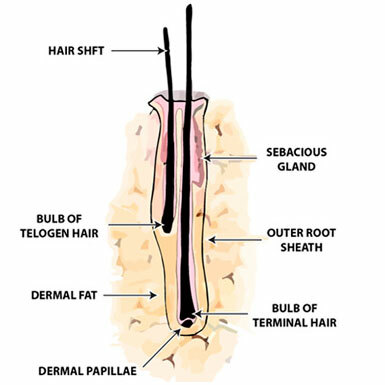 DiStefano Surgeons use an exclusive procedure called the Individual Graft Technique™ (IGT) to remove hair follicles without damage. While it differs according to hair color, the average number of hairs on a person’s head averages about 100,000. If you’re a man and you lose 20,000 to 50,000 of those hairs, the result is male pattern baldness. The goal of great hair transplants is to restore some of those hairs to the top and front of the scalp. This is done by removing hair in areas of the scalp in back and moving them to areas without hair. Several years ago, the typical hair restoration surgeon used to remove 25 hair follicles at a time and transplant them to the crown and forward part of the scalp. But transplanting dozens of these large grafts (commonly called plugs) gave a look that resembled doll’s hair. The procedure was painful, had long recovery times and the results were less than satisfactory. Fortunately, new procedures and techniques in recent years – many developed right here at DiStefano—have resulted in vast improvements to the way great hair transplants look. Today, a hair loss restoration done here at DiStefano is virtually undetectable, it is virtually pain free and can often be done in one or two visits. Every hair follicle has between one and four hairs. 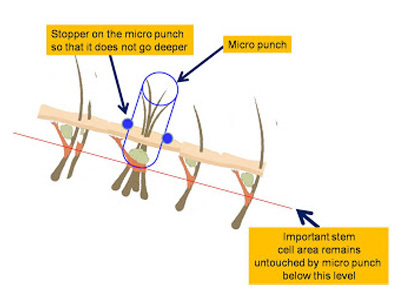 The primary change that has resulted in great hair transplants is the follicular unit grafting techniques that allow the transplantation of single follicular units–typically 1-4 hairs-that resembles the way hair grows naturally. During hair loss restoration surgery, the surgeon makes small incisions to receive each follicular unit-carefully placing each incision and sizing it so the follicular unit can be placed at the most natural angle. Typically the hair restoration surgeon–working with technicians who dissect the hair follicles into separate units, –transplant about 1,000 follicular units in a single session. DiStefano Hair Restoration Centers’ highly advanced techniques, unique surgical instruments and procedures now make it possible to perform up to 4,000 follicular units in a single session.